Are you planning on a career in the arts? 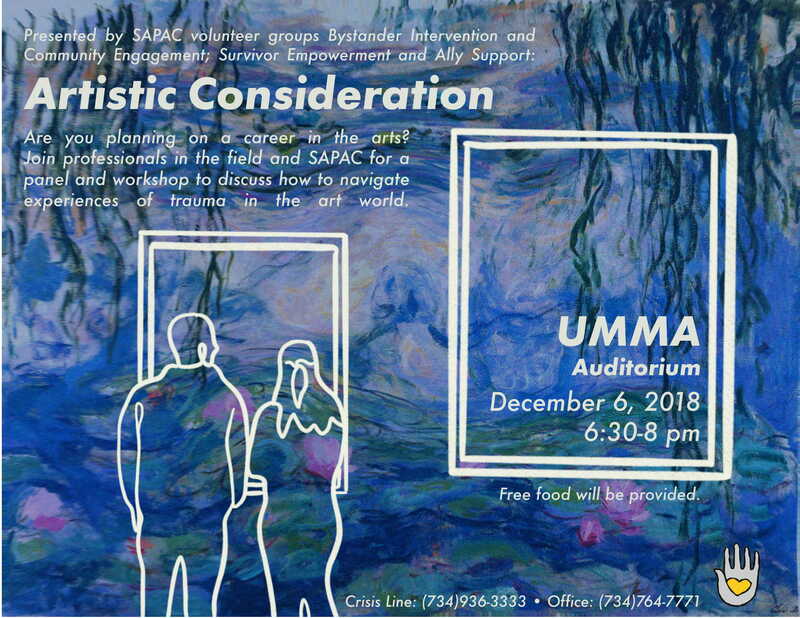 Join SAPAC and professionals in the field for "Artistic Considerations," a panel and workshop to discuss how to navigate experiences of trauma in the art world. 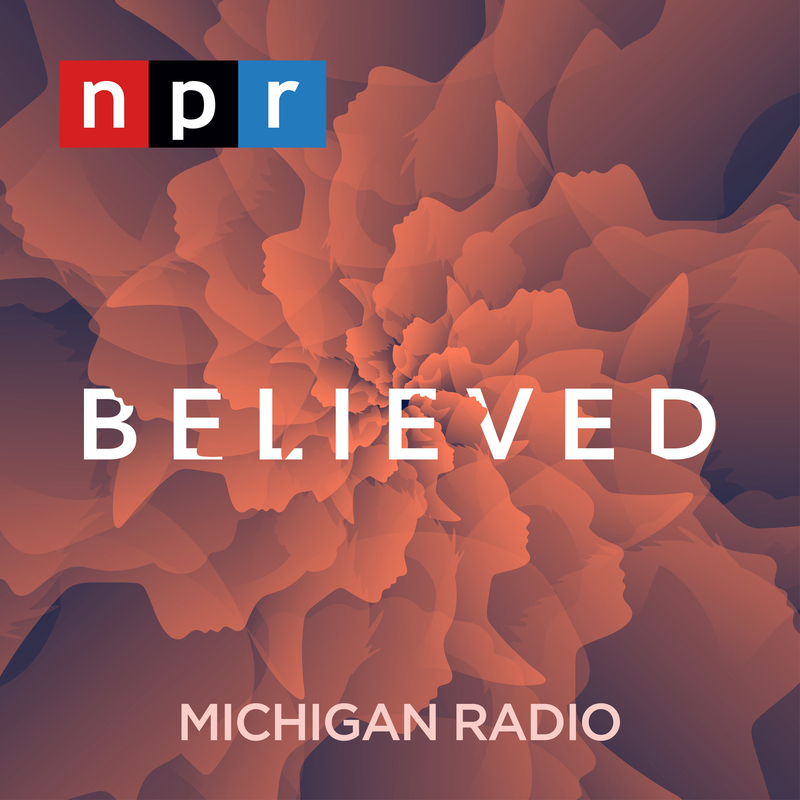 Believed is a podcast produced by Michigan Radio and NPR. It includes survivors' stories, interviews with police and parents, and information from police investigations to explain how Larry Nassar, the USA Gymnastics and MSU doctor who sexually abused his patients, got away with his abuse for as long as he did and how in the end he was exposed and sentenced to over 100 years in prison. There are brief content warnings at the beginning of each episode as many of them contain potentially triggering content. The 33rd Annual Survivor Share and Speak out was November 4th. 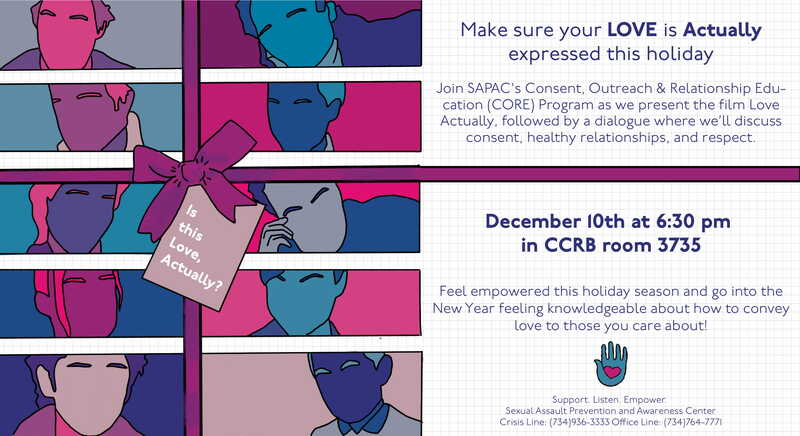 Here SAPAC's Survivor Empowerment and Ally Support (SEAS) program helped to create a supportive space where survivors where able to share their stories in an open mic format. SEAS also invited attendees to participate in a collaborative art project where they could write messages of support on leaves and place them on a tree that was displayed throughout the event. Some of the messages left include, "I believe you. I support you. You empower me." and "You're not alone."